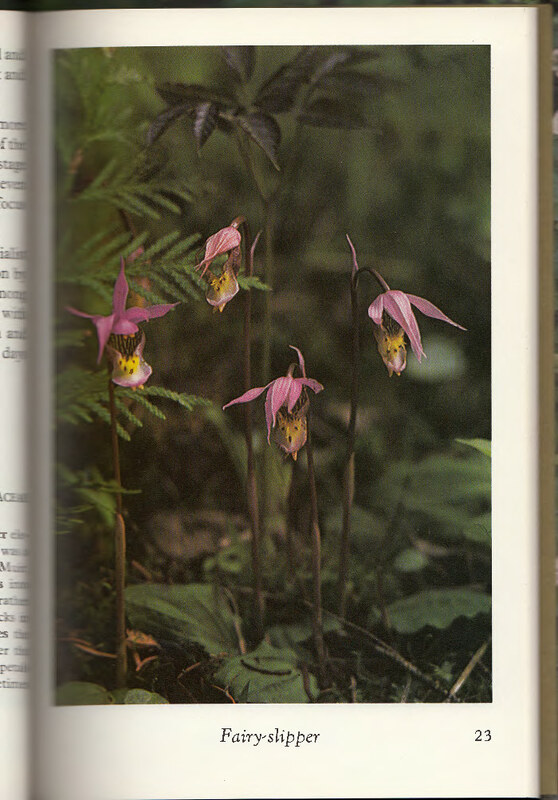 Last weekend I went to an antique shop called 'The Store' in Southwest Michigan with my sister and found this delight, a cute 71 page guide by Torkel Korling called Wild Plants in Flower; The Boreal Forest and Borders. 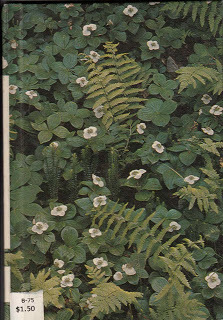 Mr. Torkel, you couldn't have designed a cooler cover, by far the most camouflaged book I own. 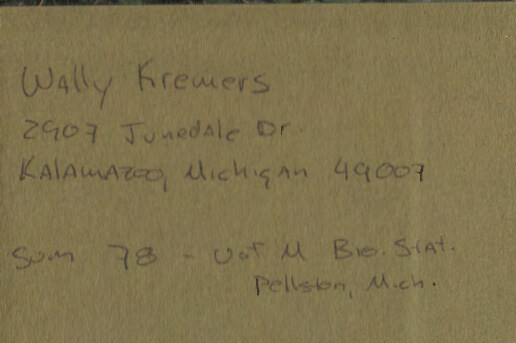 Upon opening was delighted to see it belonged to a Mr Wally Kreuers from Kalamazoo, Michigan. 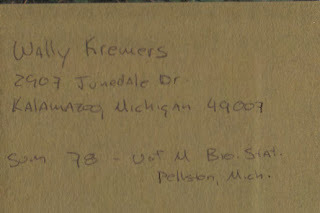 And he evidently used it at the U of M Biological Station in Pellston, Michigan ! Whoa. Thanks Wally. Sorta wanna look up the fellow, see what's up. 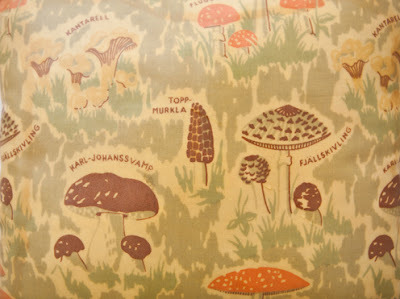 And I also love plants so much, and the in the Northern Parts there are some jems. Above is on of them: the gentle fairy slipper, botanically known as Calypso bulbosa. This is an Orchid, and "behind every successful orchid, it appears, may be one or more species of fungus." So rare these days, not to be picked. The first of four film shots taken with a Minolta Camera. 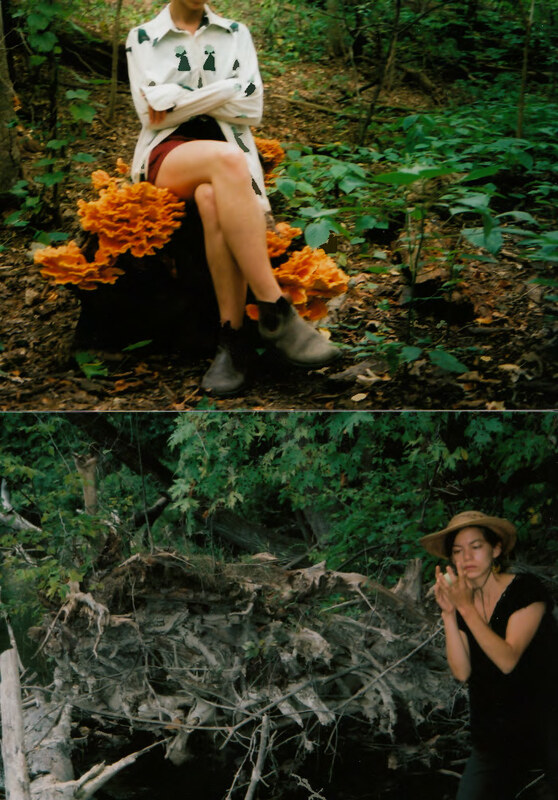 Sis and I landed ourselves upon a log stacked with Chicken of the Woods. A lovely texturfied edible. 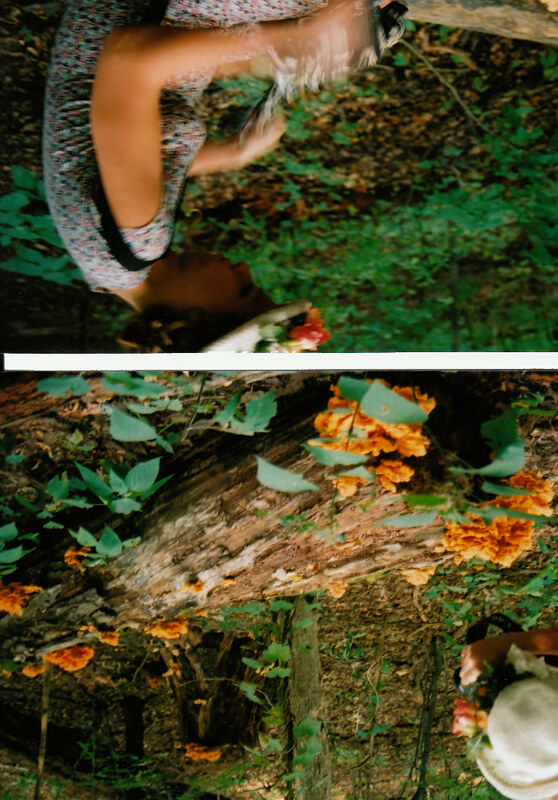 These shots were taken September, 2012, the afternoon before the first mycotic crew party, in EberWhite Woods, Ann Arbor Michigan.